New England quarterback Tom Brady’s four-game suspension over his role in last year’s “Deflategate” scandal is back on, according to reports by ESPN and CBS Sports. A federal appeals court in New York ruled that Brady must serve the penalty, which was imposed by the NFL for his role in using allegedly underinflated footballs during games. “We hold that the Commissioner properly exercised his broad discretion under the collective bargaining agreement and that his procedural rulings were properly grounded in that agreement and did not deprive Brady of fundamental fairness,” the U.S. 2nd Circuit Appeals Court wrote in its ruling. 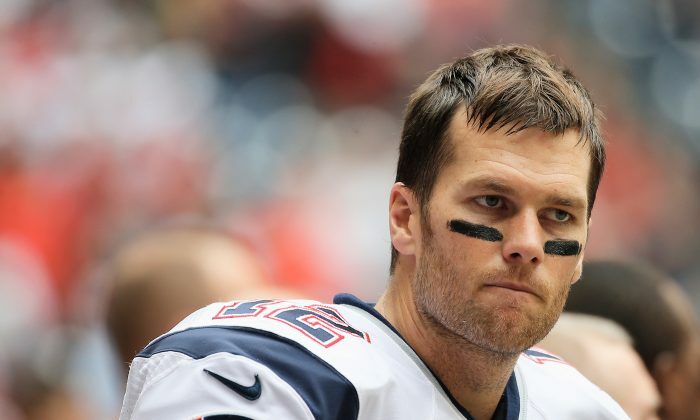 The suspension would mean Brady would miss the team’s first four games against Arizona, Miami, Houston, and Buffalo. His first game would be against Cleveland in Week 5. The alleged under-inflation happened during the Patriots 45–7 blowout win over the Indianapolis Colts in the AFC Championship game on January 18, 2015. Two weeks later, the Patriots beat the Seahawks 28–24 in Super Bowl XLIX. Then three months later on May 6, the Wells Report was released. In it, investigator Ted Wells found it “more probable than not” that Patriots personnel deliberately deflated footballs during the AFC Championship Game, and that Brady was probably “at least generally aware” of the rules violations. Evidence for the NFL included text messages between equipment assistant John Jastremski and locker room manager Jim McNally that implicated Brady. Wells said he was hindered by Brady’s refusal to provide emails, text messages, or phone records. Five days after the release of the Wells report, the NFL announced the Patriots would be fined $1,000,000 while being docked a first-round pick in 2016 and a fourth-round selection in 2017. Meanwhile, Brady was suspended for four games. On May 12, the NFLPA announced their intentions to appeal Brady’s suspension. On June 23rd the appeal was heard with Goodell as arbitrator—despite the union asking him repeatedly to recuse himself. Roughly a month later on July 28, the NFL announced it would not reduce Brady’s suspension, but then on September 3rd U.S. District Judge Richard M. Berman erased the penalty and Brady played out the 2015 season. If only the NFL had hired him.